Qualfon is actively seeking to acquire multiple companies and expand its business in the USA and around the world. Qualfon’s acquisition process and financial strength provides flexibility to sellers because we transact on all-cash deals and typically retain management. Qualfon, a people-driven business process outsourcing (BPO) company and global provider of contact center services, is actively seeking to acquire multiple companies and expand its business in the USA and around the world. “Qualfon is a financially healthy company that is entering its next phase of growth, and we’re looking for the right opportunities to diversify our capabilities and lead our progression,” said Trevor Allen, Qualfon’s Chief Merger and Acquisitions Officer, who joined the company in June 2015 to drive strategic growth. Owners of BPO companies, including private equity firms, individual owners, and sell-side investment bankers are invited to reach out if they think Qualfon might be in their best interest. “Qualfon’s acquisition process and financial strength provides flexibility to sellers because we transact on all-cash deals and typically retain management,” added Allen. Qualfon is evaluating companies as small as $25M in revenue but is financially positioned to purchase companies as large as $300M in revenue. 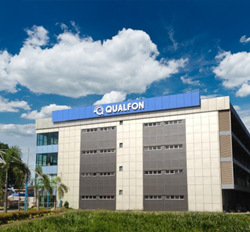 Qualfon seeks opportunities in the USA, across Central and South America, and also in the Philippines, and it is particularly interested in companies in the healthcare sector and those in the Fortune 2,000 market. Qualfon has a track record of successful acquisitions. The company’s 2014 acquisition of Center Partners earned a Deal of the Year Award from the Global M&A Network, who recognized the purchase as a value-generating transaction that validates Qualfon’s private equity investment strategy.